Wills, trusts, and other estate planning options can be used in numerous situations to plan for and control future events involving your money, your business, and your legacy. Estate planning options can be useful whether you've worked a lifetime and want to control your legacy, you want to plan for your own future, or you want to control what happens to your business when you can no longer make necessary decisions. Regardless of the situation, you want an experienced attorney who will take the time to truly understand your situation. 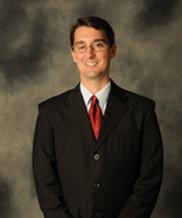 Attorney Wes Sullenger begins by learning about your goals. Then, after we draft the necessary documents, we will meet with you to make sure our work provides the best solutions for your situation. By consulting with you throughout the drafting process, we will make sure we address all of your needs and desires for your estate plan. Attorney Sullenger can help protect your life by drafting your Power of Attorney, both a Durable Power of Attorney covering your business and property and a Healthcare Power of Attorney covering medical decisions. We can also protect you at the end of your life with a Living Will (also called an Advanced Directive) specifying your end-of-life wishes. We can even help protect you after your death with a Will or Trust that controls how your assets or business interests will be distributed to accomplish your desires and to avoid fights within your family. Call Wes Sullenger at (270) 443-9401 to schedule a consultation during which we can evaluate your situation and discuss what we can do to help you.